Oshkosh lumberman, banker and financier Edgar P. Sawyer hired noted local architect William Waters to design this Tudor Revival style house in 1907. Constructed of brick and limestone with parapeted gables and fluted chimneys, the house featured interior furnishings by Tiffany Studios including art glass, bronze grilles, tapestries, light fixtures and furniture. A city showpiece, the residence reflected Oshkosh's vast lumbering wealth. 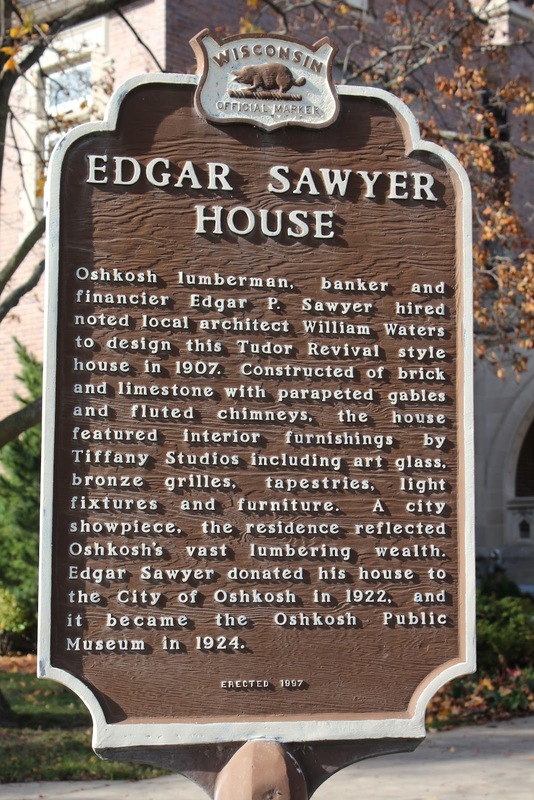 Edgar Sawyer donated his house to the City of Oshkosh in 1922, and it became the Oshkosh Public Museum in 1924. 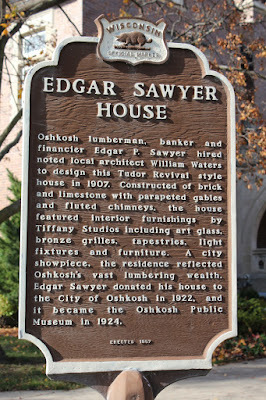 The Edgar Sawyer House is home to the Oshkosh Public Museum, located at on northbound one-way Algoma Boulevard, north of its intersection with West New York Avenue, at 1331 Algoma Boulevard, Oshkosh, Wisconsin 54901. Looking east with Algoma Boulevard in the background. The Edgar Sawyer House is home to the Oshkosh Public Museum. The Oshkosh Public Museum is located in Oshkosh, Wisconsin.